Proper Foodie welcomes the new year with a wonderful roasted cauliflower salad with lemon herb dressing. 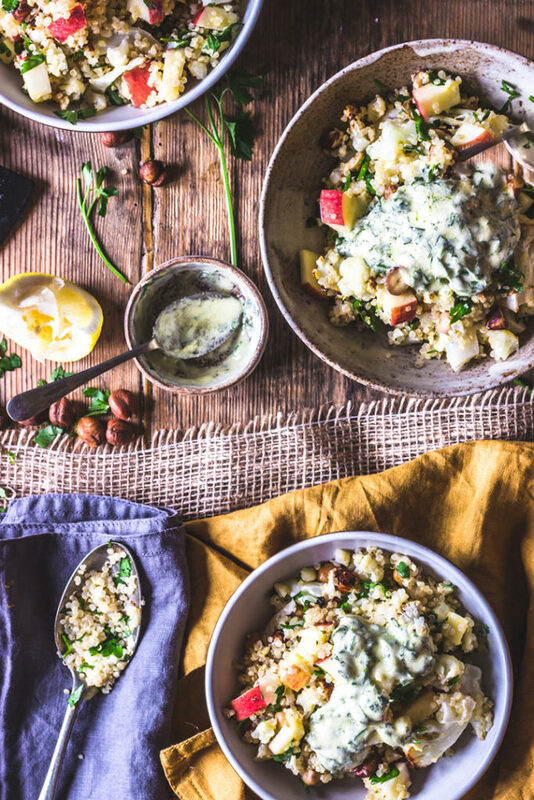 A combination of nutty, quinoa grains mixed with oven roasted cauliflower, then tossed with fruit and nuts and finished with a lemon herb dressing. Roasting, rather than boiling, cauliflower brings out a fragrant and delicious flavour for this salad. Try it for yourself!